The original section of the Main House was built c. 1791; the house was expanded to its present size at the beginning of the nineteenth century. At that time unusual details, such as a rare cove ceiling and Federal accents, were added. Surrounded by 100-year-old live oaks, the house has retained its Creole plan and character for over 200 years. Its construction is of cypress beams with bousillage-entre-poteau, and the original cypress flooring runs throughout the house. 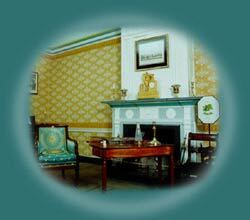 The furnishings are the finest example of Federal and Louisiana-made artifacts. The plantation consists of 16 acres of the original 900. In addition to the main buildings, it offers a vegetable-and-herb kitchen garden. The crop garden produces examples of the variety of cash crops (indigo, white and brown cotton, perique tobacco, and sugar cane) grown during various time periods in the life of the plantation. The pigeonnier housed young pigeons (squab), a delicacy in early America. 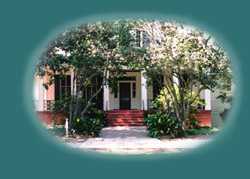 The Overseer's House, original to Magnolia Mound, was found in the surrounding residential area and moved to its present site. It is now used for educational programs. 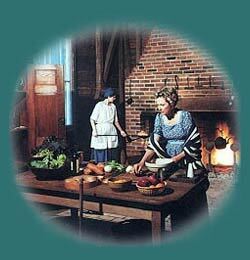 The Magnolia Mound Plantation kitchen has been reconstructed on its original site. Costumed docents demonstrate open-hearth cooking, using period implements and techniques, on Tuesdays and Thursdays, from October through May. 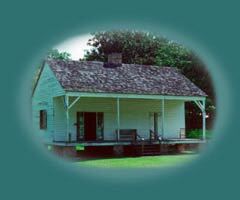 The slave quarter house was originally located on River Lake Plantation, the birthplace of writer Ernest Gaines. It is now the focus of Magnolia Mound’s Beyond the Big House tour, which is available through reservation only. One side of the house is furnished as a typical slave quarter house, while the other side houses an exhibit on slave life. Built Built in 1904 and listed on the National Register of Historic Places, Hart House offers an intimate atmosphere for gatherings and functions. The home can accommodate 30 seated and up to 100 standing. The grounds are also available for rental. For more information, call (225) 343-4955. Hands-on learning activities are available for school and special interest groups. These activities help visitors to immerse themselves in southern plantation life. 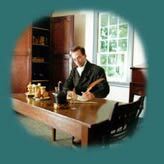 Visitors can cook in the period kitchen, weave cotton cloth, make pottery and paper, and write with quill pens. In addition, the plantation offers lectures, craft classes, special events, summer camps, and demonstration days throughout the year. Call (225) 343-4955 for schedules and information. In addition to housing a museum shop, the Visitors Center has exhibits, videos, and a diorama of the plantation. It is also handicapped-accessible.